For many people, Italian food and amore are one and the same. If you’re planning a special night out for a first date or anniversary celebration, there’s nothing more romantic than renting a limo to take that special someone to a quaint local Italian restaurant where you can sip on wine by candlelight. Botticelli’s: Botticelli’s on South Congress is a well-known Italian restaurant that serves fresh, delicious food made from old world recipes, as well as a few new dishes thrown in just for fun. Described as an intimate Italian trattoria, guests can enjoy a romantic meal indoors or relax and unwind on a warm Texas evening in the backyard beer garden. For an evening date, the beer garden on Thursday through Saturday is the best bet with live, local music acts gracing the stage. Don’t forget to save room for authentic Italian dishes like homemade organic butternut squash ravioli or a filet with mascarpone risotto. Asti: Asti is a popular Austin Italian restaurant on East 43rd Street that is all about celebration, whether it’s a casual or important occasion. In fact, diners rated Asti as the number one neighborhood gem in Austin on Open Table for that very reason. Most diners appreciate the fact that the Asti menu changes with the season, showcasing fresh, natural flavors in dishes like linguine and clams or spaghetti carbonara. For an early date, don’t forget to take advantage of their exceptional happy hour with $5 wine specials and appetizers that include crispy fried artichokes and a grilled pizetta. La Traviata: This fine Italian restaurant on Congress Avenue is known for its elegant dining atmosphere with delicious Italian dishes like duck confit and veal piccata. In business since 2000, La Traviata provides Italian comfort food with an extensive wine menu available by the bottle or glass. According to Zagat, the restaurant is a delightful downtown trattoria with a classic Italian menu, a friendly staff, and reasonably priced dishes for the quality offered. If you’re ready to plan an unforgettable evening, you can’t go wrong with any of the highly-rated Italian restaurants listed above. 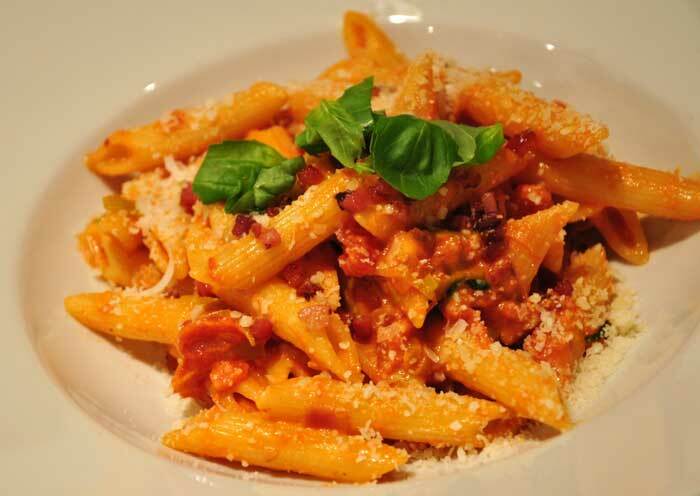 Taking a date to an Italian restaurant provides you with the opportunity to dine as the Italians do as you sit back and savor each bite with great company and good conversation.